Card Text: When Farhaven Elf enters the battlefield, you may search your library for a basic land card, put it onto the battlefield tapped, then shuffle your library. 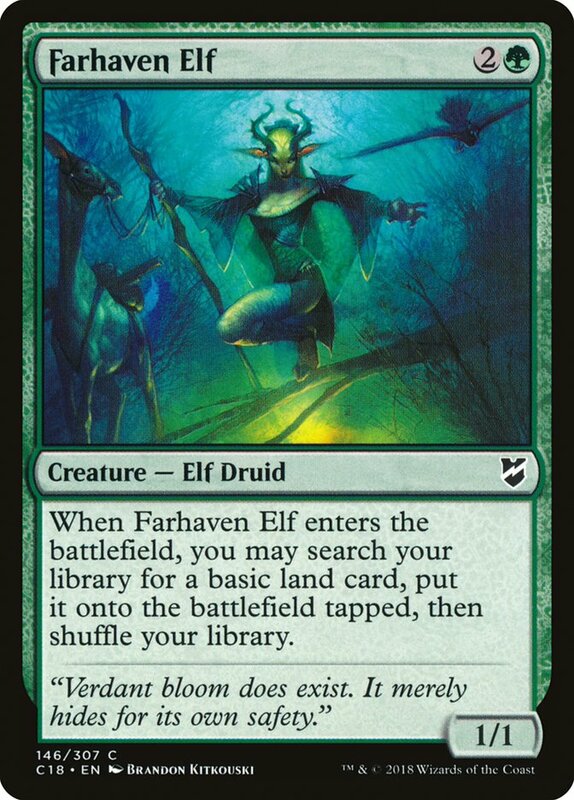 Oracle Text: When Farhaven Elf enters the battlefield, you may search your library for a basic land card, put it onto the battlefield tapped, then shuffle your library. Flavor Text: "Verdant bloom does exist. It merely hides for its own safety."